Dan climbs the Lighthouse at least once a week. He works in Atlantic City and uses his lunch break to get fit. 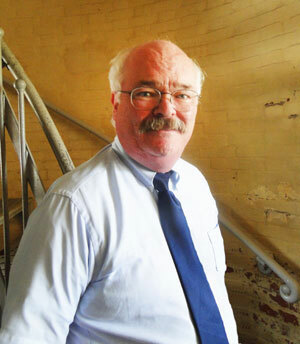 Anyone can walk on a treadmill, but it's really cool to stay fit by climbing a lighthouse! Absecon Lighthouse is a designated	"Let's Move" museum. Fitness Fact - did you know a 150 lb person burns on average 6 calories a minute climbing up stairs and 4 calories climbing down? That's a total of 160 calories burned by climbing 228 steps! Mary lives in the First Ward and loves to garden. 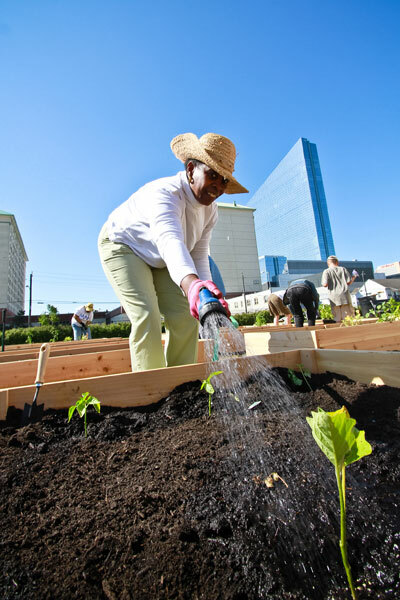 Lucky for her, Absecon Lighthouse has 21 community garden beds! Garden Keepers are welcome to come and pluck our friendly weeds, and keep an eye on our growing veggies. Mary is a retired school teacher and volunteers at the top of the light, hosting our school groups. Allie's on a tight budget being a college student, but loves history. 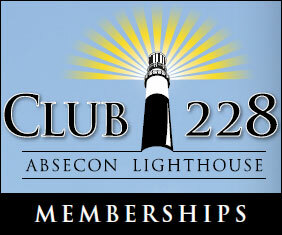 Both think it's a worthwhile use of their time & money to help keep the light on by being members in Club 228. Libby moved to Atlantic City because she loves the Jersey Shore. Carolyn remembers growing up on New Hampshire Avenue. They realize that this beautiful Lighthouse, right here in their community, represents a past and a future. Both want to see this Atlantic City icon preserved for future generations. Chris & Denise love to bring their kids to Absecon Lighthouse, and then head over to Tony Boloney's for a slice of its famous pizza. They also love to attend our family events. This is one cool place to spend quality time with the family - a place they'll always remember. 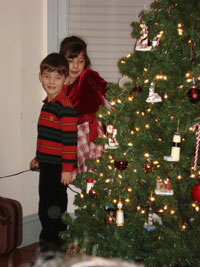 Molly & Calvin will always have fond memories of turning on the lights of our holiday tree at the annual Holiday Cheer Gathering. Children are the heart & soul of our future preservation. Give your child the chance to fall in love with history with his or her very own membership card in Club 228. 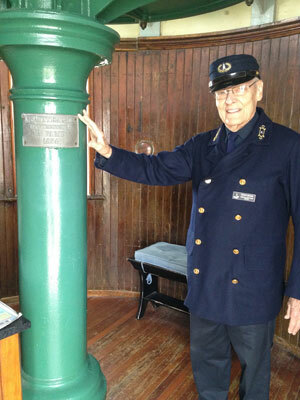 Buddy is 86 and climbs the lighthouse every Friday to host our visitors and show them the magnificent view from the top. He is a volunteer treasure and a true keeper of the light. Become a Lightkeeper to honor those who give their time to preserve our light! Your significant contribution helps to stabilize our organization and preserve our important maritime history. We couldn't keep the light shining without your generous support in Club 228. Caroline & Alec traveled from Somerset, England to be married at Absecon Lighthouse. Many couples become engaged, married, or civil union partners here. In the true spirit of Claddagh ring symbolism of friendship, love, & loyalty, we invite you to celebrate your romance by joining Club 228!